Posted on July 8, 2016 at 8:58 pm. 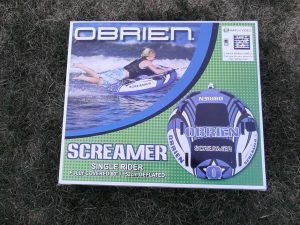 Patty’s Water Sports has donated this cool Screamer tube for on the water fun besides fishing. Thanks Patty Pensel.